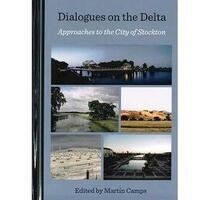 A panel presentation on the book "Dialogues on the Delta: Approaches to the City of Stockton," a collection of essays by Pacific faculty and students, that examines the city of Stockton from an interdisciplinary perspective. The panel will include editor Martin Camps, professor of modern languages and literature and director of Latin American Studies; and chapter authors Thomas Pogue, associate director of the Center for Business and Policy Research; Michael Wurtz, Head of Special Collections; Robert Benedetti, emeritus professor of political science; and Marcia Hernandez, associate dean of College of the Pacific and associate professor of sociology. This book covers the economic downturn of the city that was ground zero for the housing market crisis during the Great Recession and resulted in Stockton becoming one of the largest American cities to declare bankruptcy. Nevertheless, the city cannot be framed only on its economic misfortunes. Stockton has a vibrant community with important historical figures such as Martín Ramírez, an outsider painter who was a patient in the Stockton State Hospital. The book also covers topics such as food studies, religious communities, historical resources at the University of the Pacific library, business community programs such as “Puentes,” an overview of the city’s racial diversity, auto-ethnographies, the family connection to Mexican author Elena Poniatowska, and a program at the Stockton High School during WWII to send jeeps as part of the war effort. The book is informed by the perspectives of historians, sociologists, political scientists, economists, business scholars and literary and cultural studies theorists to provide a wide range of approaches to a vital community in the Central Valley of California.